We understand that moving home can be an overwhelming and stressful experience. 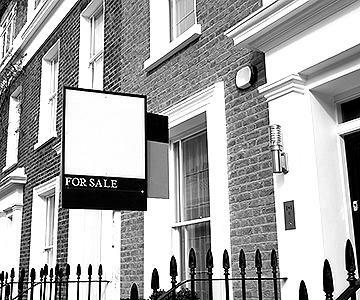 Whether you are buying your first flat, a new family home, or expanding your property portfolio, our dedicated and proactive residential property specialists will aim to ensure that your experience of moving house is as straightforward as possible. From the outset, your sale or purchase will be allocated to a dedicated residential property specialist, who will be your point of contact throughout the transaction. We are members of The Law Society accredited Conveyancing Quality Scheme (CQS). The scheme allows clients, lenders and estate agents to identify firms that provide the highest professional standard in residential conveyancing. As members of the CQS, we provide high professional standards to all our clients and we are committed to delivering excellent customer service. Please read our Conveyancing Guide – Buying and our Conveyancing Guide – Sellingdesigned to provide you with a helpful overview of the conveyancing process. includes: conducting a full investigation of title; dealing with Stamp Duty Land Tax requirements; and advising on contract terms. including: collective purchase of large blocks of flats; applications to the Lease Valuation Tribunal; and right to manage claims. includes: Assured Shorthold Tenancies; tenancy termination; recovery of rent arrears; lease extensions; and Buy-to-Let. includes: preparation of auction packs; liaising with auctioneers and surveyors. includes: investigating title for new lender for freehold and leasehold mortgages; redeeming existing loans and registering a new charge. We are appointed as panel adviser to numerous banks and building societies. We act regularly for Lloyds TSB, Natwest, Royal Bank of Scotland, Halifax, Santander, Virgin Money, Leeds Building Society, Woolwich/Barclays, Yorkshire Building Society and may more lenders. To speak a member of our Residential Property Team today, please get in touch on 0161 740 4918, or alternatively, please complete our online enquiry form.